Treatment of cervicothoracic pain and cervicogenic headaches with regenerative injection therapy. The optimal long-term, symptomatic therapy for chronic neck pain has not been established. Accordingly, we investigated the outcomes of patients undergoing Hemwall-Hackett dextrose Prolotherapy treatment for unresolved neck pain at a charity clinic in rural Illinois. We studied a sample of 98 patients who had suffered with pain on average for 59 months and seen over 3 physicians prior to being treated quarterly with Prolotherapy. On average 18 months following their last Prolotherapy session, patients were contacted and asked numerous questions in regard to their levels of pain and a variety of physical and psychological symptoms, as well as activities of daily living, before and after their last Prolotherapy treatment. RESULTS: The results of this study showed that patients had a statistically significant decline in their level of pain, stiffness and crunching sensation with Prolotherapy. This included clients who were told by their M.D. (s) that there were no other treatment options or that surgery was their only answer for their chronic pain. More than 83% of patients showed improvements in walking ability, exercise ability, anxiety, depression and overall disability with Prolotherapy. Ninety percent of patients who were on medications at the start of Prolotherapy were able to cut their pain medication usage by 50% or more. Additional pain management care was able to be lessened by 50% or more in 75% of cases with Prolotherapy. 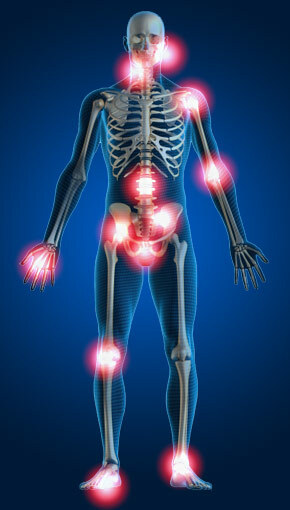 Ninety-eight percent of patients stated their pain was better with Prolotherapy. Ninety-seven percent of patients said Prolotherapy changed their life for the better.